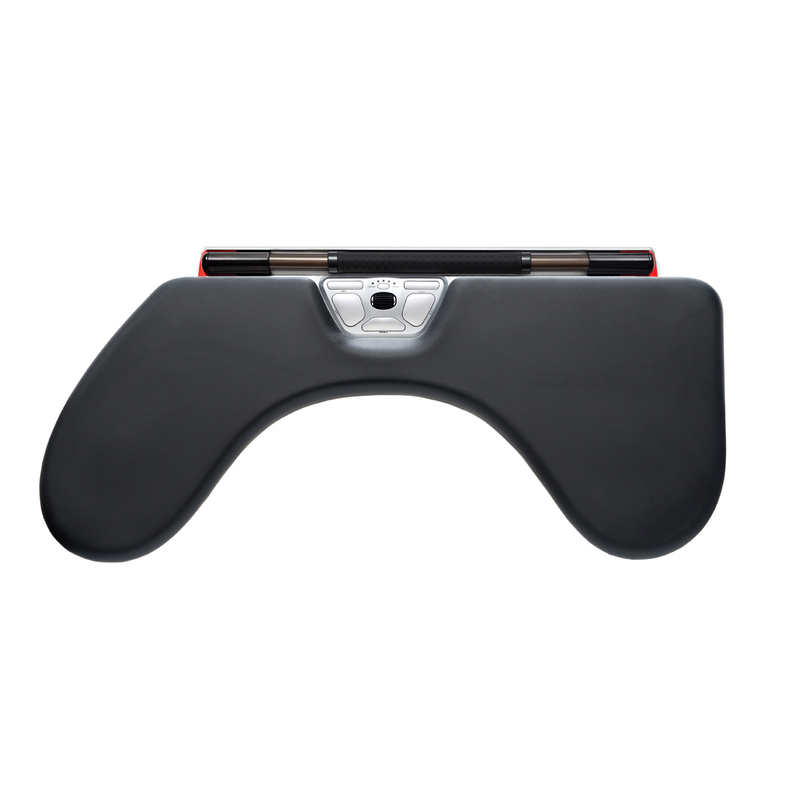 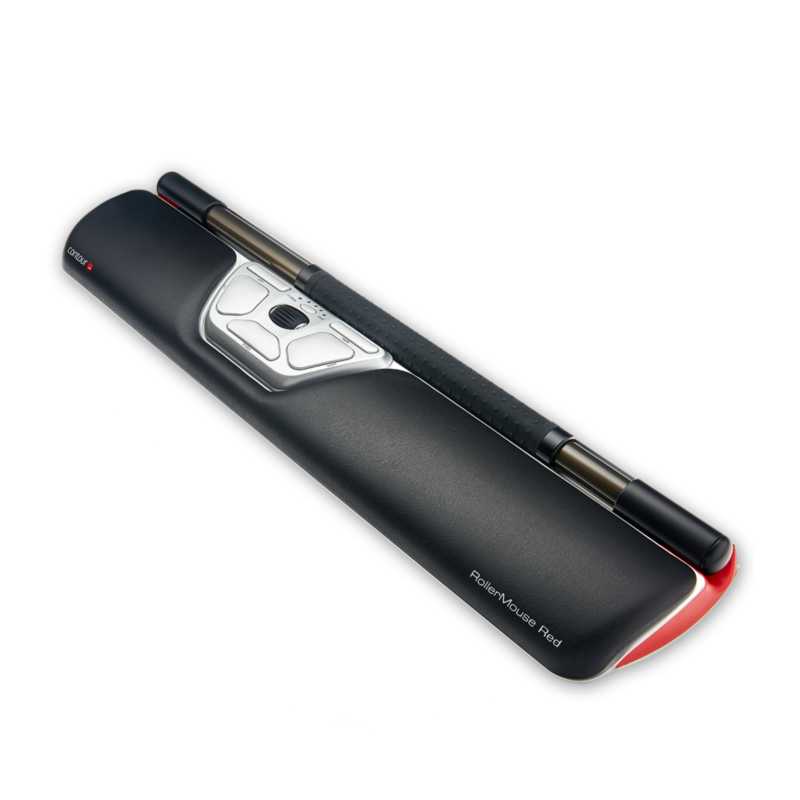 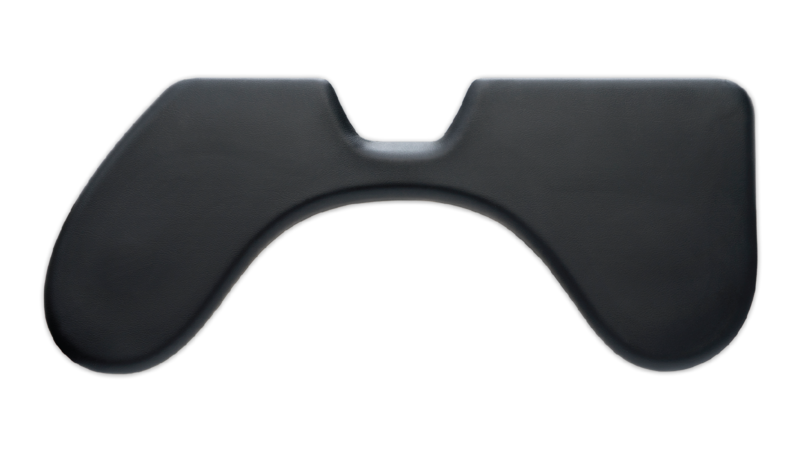 ArmSupport Red - Contour Design Inc.
Our Arm Support Red was specifically designed to maximize comfort and the ergonomic benefits of using a RollerMouse Red. 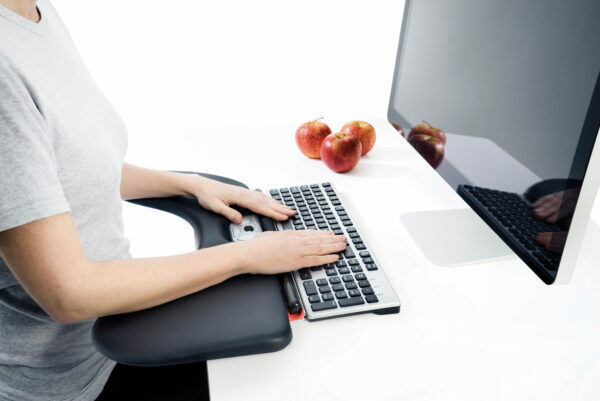 Perfect for sit/stand desks, the Arm Support Red takes the pressure off your arms, shoulders, and neck, allowing you to focus on the task at hand. 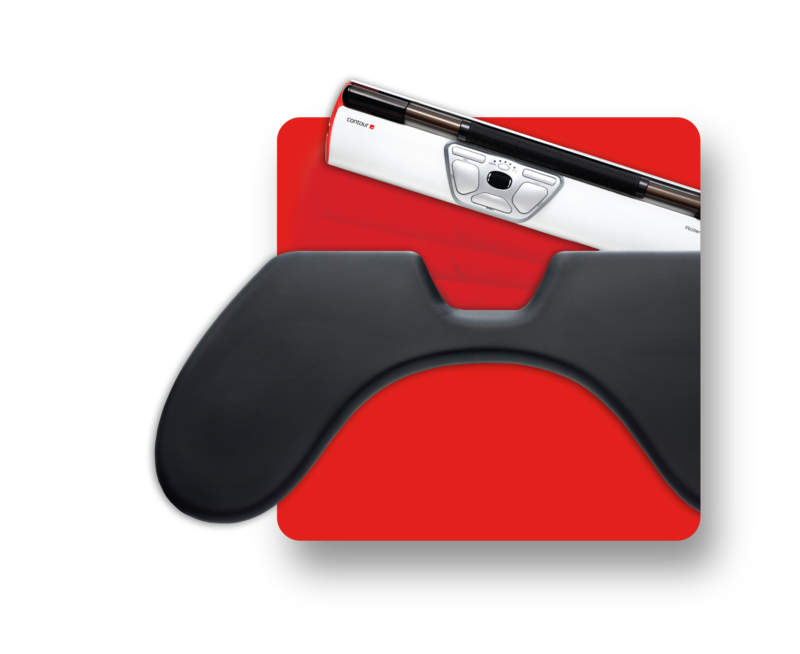 Arm Support Red will work with virtually any sit/stand desk system and helps provide benefits to users, especially when standing. 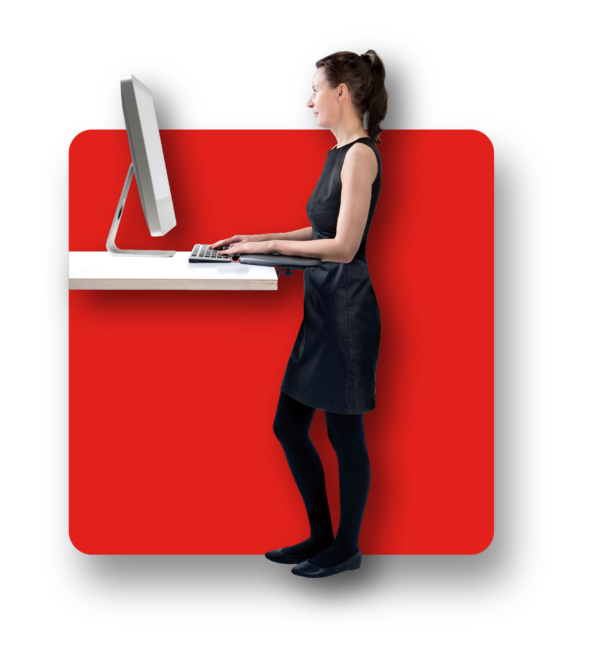 With a place to rest your arms while standing, Arm Support Red alleviates back and neck stiffness that can come with standing at your desk. 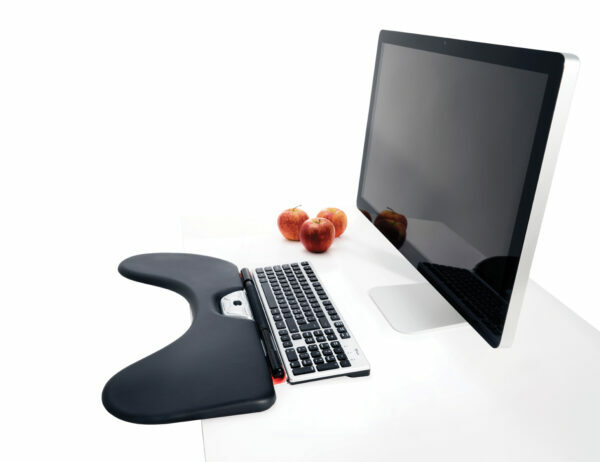 Setup is a breeze with the Arm Support Red’s patented clamping mechanism. 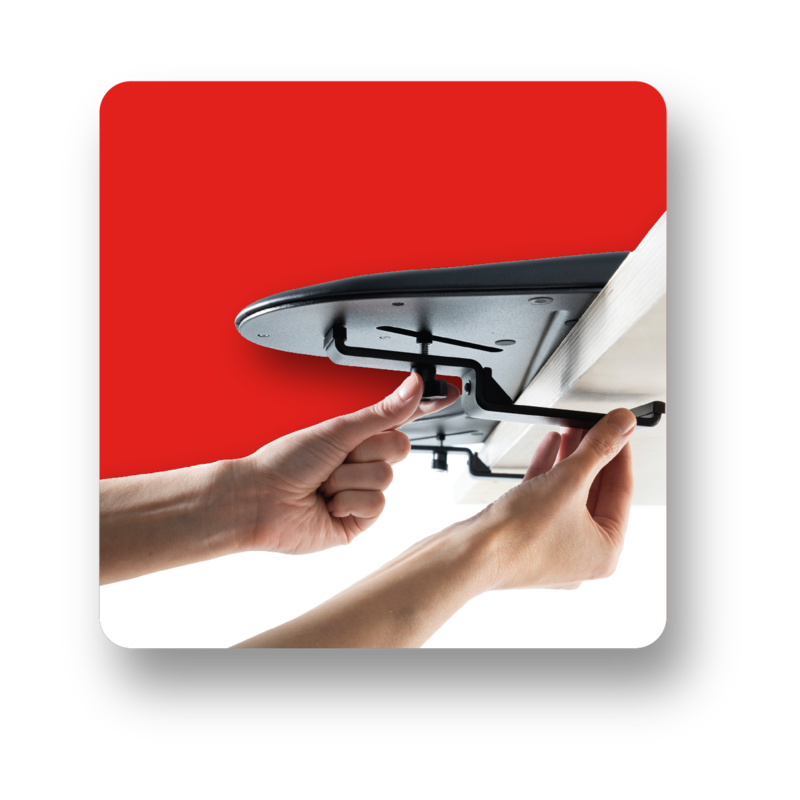 Our Arm Support Red can be set up in under 2 minutes with absolutely no tools needed!